With active ingredients Glycerine and Vitamin E, this men’s deodorant aims to reduce perspiration whilst keeping your underarms soft and nourished. 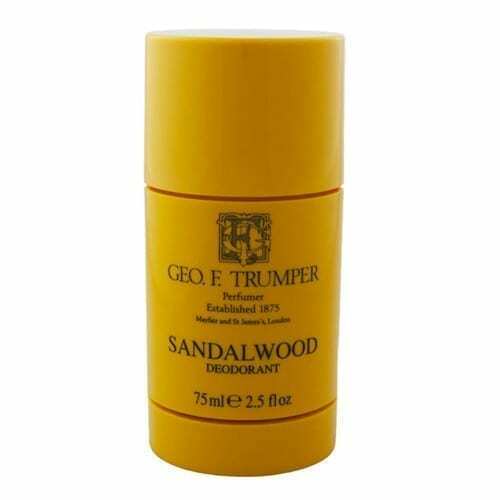 Alchohol and Tricosan free, this Trumpers Sandalwood deodorant has only the best ingredients to give you the best protection throughout the day. Net weight: 2.5 ounces. Made in England.